The large scale stone and aggregates project of annual production capacity of 12 million tons (2000t/h) at Yunnan designed by Luoyang Dahua is under construction. 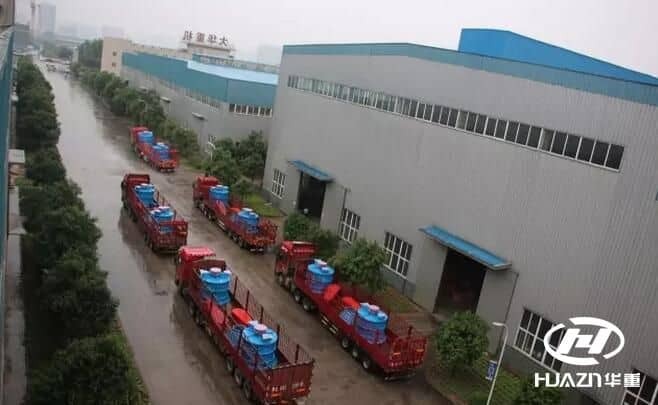 This project with a total investment of nearly one hundred million Yuan includes coarse crushing plant, medium crushing plant, semi-finished products warehouse, sand making plant, and finished products warehouse. To build a benchmark enterprise integrated with intelligent technology, and ecological green landscape with safety standardization and social benefit maximization. At present, the foundation of sand making plant has been finished, and the first 10 sets of PFL complex crusher are delivered to site. The subsequent coarse crushing equipment and medium crushing equipment will be delivered soon. The project will be completed and put into operation at the end of the year.